Plant Disease and How we can cure in Natural Way? Home / Tips & Tricks / Plant Disease and How we can cure in Natural Way? Plant disease this is a very painful when plant lost its normal situation and become pale from day to day. This can be easily restore it’s normal state if we are concern about this matter how to face this unfavorable condition. If this condition grow up and become prominent day to day then you have realize that your plant gets a chronological problem. Here we are going to help you to determine the disease of your plant and how easily you can cure them. Most of the plant disease reveals it’s sign on it’s leaves; when you look at the leaf of the respective plant you will found that the plants leaves are more pale then the normal condition and this condition is going to prominent from day to day. Use of Fungicide in Plant Disease? Is it useful for plant? Sure, if you can apply your plant in most prominent way you can prevent your plant diseases. Fungicide is the best alternative to prevent your plant diseases. You have apply it to the plants that are already in rot and diseases condition. Always depend on the chemical is not a wise solution for expert gardener. You can try on something natural alternative as like milk solution. You may not familiar with it but who are gardening for a long period of time they may be familiar with milk solution. To prepare this solution you have to maintain the ratio of Milk and Water as 50:50 solutions; then take it into a spray bottle and apply on the affected plant leaves. Another alternative may be Sulfur dust; before work with any types of dust or chemical try to use best garden gloves and mask due to chemical dust is harmful and it’s not suitable to expose on open air and cause irritation on skin and mouth. So be careful to apply sulfur dust. Sometimes Cornell Formula is considering as best natural fungicide for garden application. To prepare it Take 1 to 2 drops of Dishwashing Liquid, 1 Tablespoon Horticultural Oil and 1 Tablespoon Baking Soda. Burial- The infected fruits and leaves may be buried in 1 to 2 feet deep and let the decay at your end, this will prevent it to spread. Compost- Normal plant disease may be treated with compost; if you can’t avail at your end, contact with local waste center, they can help you about his matter. Bonfires- Use fire to destroy the pant which may be dry very fast like different types of branches and woody material. Make these steps in non-winding day. This will reduce che chance of spreading fire. Trash- Small parts of the plant may face this issue otherwise ignore it. Small wooden part and bulb is the best option. Why Carbon Steel use in Garden Hoe over Stainless Steel? 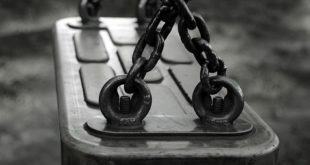 What will be your justification before buying a Swing Set? 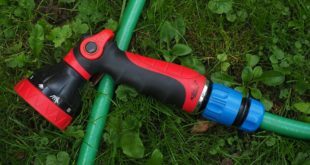 What is the Best Garden Hose on The Current Market? Best Garden Sprayer – How can You Choice from the Recent Market? Buyers Guide of Best Swing Set- How to Choice Best For Your Children? What makes a Good Gardener to start a ideal garden? error: Content is protected by www.gardenlovertips.com ! !